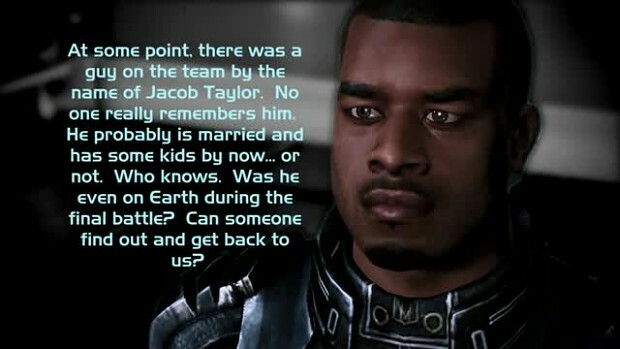 Loled on Kaidan and Vega´s epilogue. Kaindan Alenko are you me ? if 2 drunk guys can write an epilogue that makes sense out of an ending that makes NO sense...did apes write the ending of ME3? is this some kind of conspiracy!? That was good. If that had been in retail it would have actually made sense lol. I see what you did there for the miranda epilogue.